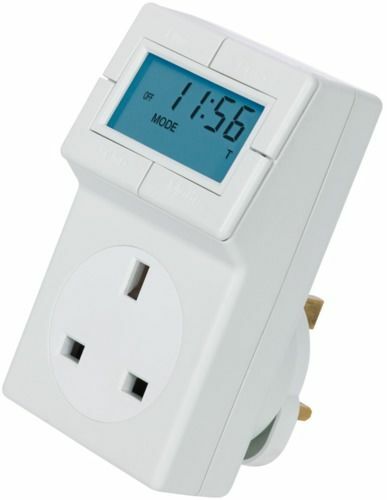 Model: Timeguard TRT05 (ET05) Plug in thermostat temperature controller. The Timeguard TRT05 (ET05) Plug-In Electronic Thermostat is an electronic temperature controller incorporating a digital display of temperature. It can control to a temperature between 0ºC and 35ºC (heating only) and is ideal for controlling radiant, convector and fan heaters as well as oil filled radiators. Mains operated, but integral battery power allows setting out of the mains socket. Permanent manual override for instant ON/OFF switching. 0ºC to 35ºC temperature range control. Temperature setting can be easily reviewed.